This week's post, as will my posts over the next several weeks will have to be made much shorter than usual due to some severe constraints on my time. Basically, I have to focus on the completion of my website, so that I can make the transition away from E-bay successfully. So, for the next several weeks I will not be able to devote an entire day to blog writing. But, I do not want to leave my readers hanging with no new material, so I have decided to continue posting, but to publish shorter than usual posts. Then, once my website is operational, I can resume the longer posts. 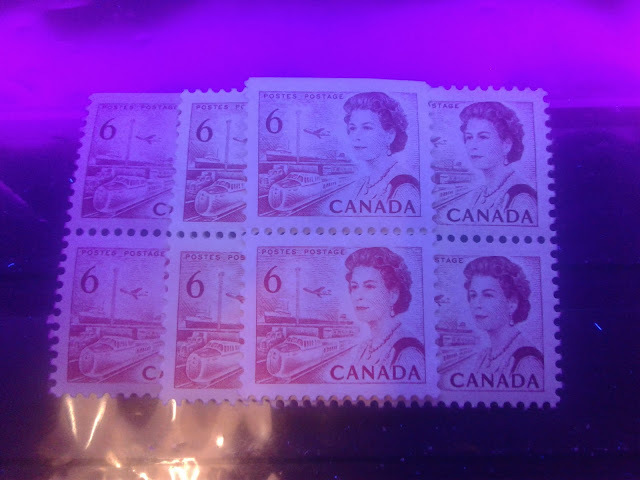 With that I mind, I will finish the 5c Atlantic Fishing Village stamp, by looking at the printings of the coil stamp, and then I will begin looking at the untagged sheet stamp of the 6c orange transportation design, with the sheet stamps perforated 10. 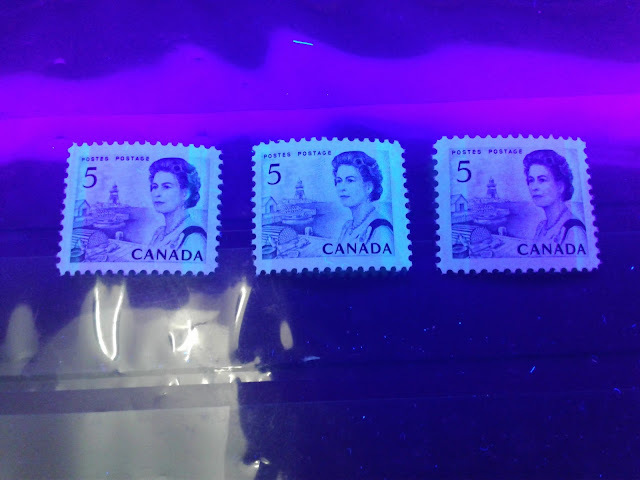 Last week, I dealt with the printings of the untagged sheet stamps of the 5c stamp from the series which depicts an Atlantic fishing village. This week, I will explore the printings of the tagged sheet stamps, as well as those stamps issued in booklets and miniature panes. 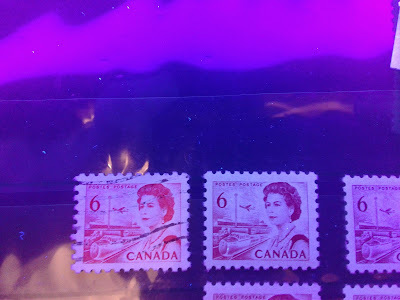 This was one of three low values from the set, for which no general Ottawa tagged stamps exist, the other two being the 6c orange and the 7c emerald green. In the case of the 6c and 7c, the reason is because postal rate increases had made both values obsolete by 1972, when general tagging was introduced. However, there was still a need for a 5c stamp, though by 1972, there was no longer a specific rate which required this stamp. So the 5c stamps in 1972 were make-up stamps.